Thanks to a wide range of interior layouts and affordable price tags, the range of new Compass Kensington motorhomes is the ideal motorhome for the first-time buyer. The Compass Avantgarde has made a return for 2019, and Kimberley's new exclusive range of motorhomes is based on these versatile vehicles. Design features include electric drop-down beds, large garages and grade III thermal insulation in the coachbuilt models and Whale 4kW underslung heating, a 12V control panel and fully opening barn doors at the rear. This range has been designed for the UK market, reflecting the requirements of Compass' growing customer base. 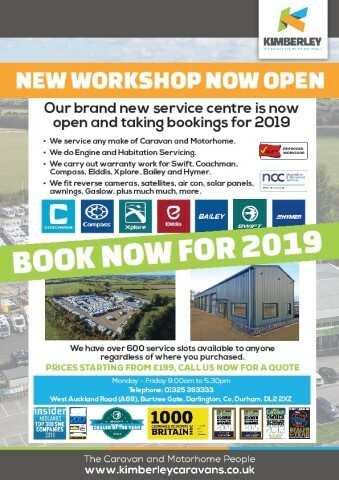 Compass motorhomes will be available from our Nottingham & Darlington branches, please enquire to find out where your preferred motorhome is situated. Compass motorhomes are versatile and agile, ideal for quick road trips up to Scotland or out to the coast. Kimberley is proud to now stock exclusive Compass Kensington motorhomes. 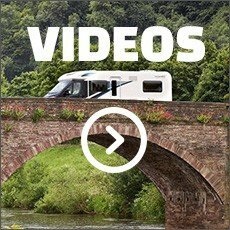 These new for 2019 motorhomes have been completely redesigned and feature models that can sleep up to six people, providing affordable motorhomes for all kinds of people. Based on the classic Compass Avantgarde design, the Compass Kensington models feature family-friendly layouts built to facilitate memorable moments with your loved ones. There are van conversions and coachbuilt motorhomes available, each with bright, contemporary interiors, outstanding drive performance and all the home comforts you desire. You can only purchase these exclusive motorhomes at Kimberley's Darlington and Nottingham dealerships, so make sure you arrange a viewing either by phone or using our online form.